The Mumbai, India-based manufacturer plans to produce new alloys of PEK and PBI more cost-effectively, it says. Gharda Plastics (Mumbai, India), the high-performance engineering polymers division of Gharda Chemicals Ltd., launched its speciality lubricious solution for industrial and business appliances, incorporating various reinforcements in G-PAEK and GAZOLE grades. This collaborative development with other industrial partners is aimed at applications that require very high wear resistance. 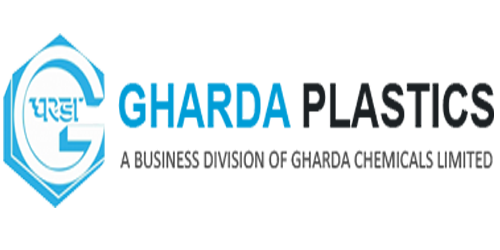 The G-PAEK product family is based on poly ether ketone (PEK) and GAZOLE – representing freshly-commercialized thermoplastic alloys of PEK and poly benzimidazole (PBI). 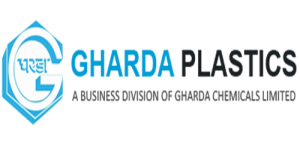 Gharda Chemicals Ltd. plans to open a commercial-scale plant in Panoli, India for making specialized engineering polyetherketone, polyetheretherketone and polybenzimidazole, using what it says is a new production method. The company will decide final capacity and investment details later this year, and is aiming for an April 2015 startup for the new facility, says Prakash Trivedi, head of the polymer strategic business unit for Gharda. The company process for making PEK uses a single monomer and is based in chlorine rather than fluorine like other PEK manufacturers. He said PEK capacity could be up to 1,000 metric tons annually, at the “major” new plant. Dr. Trivedi further explains that Gharda is the first in India of its kind with two featured wear grades. G-PAEK 1230FCT and GAZOLE 6430FCT have easy flow characteristics for injection molding of intricate multi-cavity parts. Their heat deflection temperature of 350º to 360°C makes them suitable for demanding high heat resistance applications. These are far superior in performance to the commercially available engineering alternatives of polyether imides (PEI), polyimide (PI), poly phenylene sulphide (PPS), poly ether ether ketone (PEEK), and exhibit exceptional wear, chemical and thermal resistance. Additionally, the G-PAEK and GAZOLE FCT grades display excellent mechanical properties, creep properties and dimensional stability, says the company. PTFE does have a low coefficient of friction; however its wear resistance especially at high temperatures is poor. The FCT grades also have low coefficient of friction, and display low wear rates even at high temperatures. The company has been researching the new grades for the last few years, and has been producing some of them in pilot or semi-commercial volumes at an existing Gharda petrochemical plant in Ankleshwar, in the state of Gujarat, 250 km north of Mumbai, Mr. Tushar Parida of Gharda adds. The comparable specific flexural strength of G-PAEK and GAZOLE FCT grades to metals provides a significant cost savings potential to the manufacturer. Gharda’s high performance thermoplastics offer weight savings, easy machining and molding options with greater design flexibility. This allows the customer to produce parts with challenging geometries as required. It eliminates the costly production steps that are necessary for metals. The firm’s polyetherketone ketone process is also made with a unique process Gharda has developed, using two monomers instead of three as is traditional, while the PBI is made with a single monomer rather than two monomers, Trivedi said. When the new plant in Panoli opens it will also produce the monomers, and the company believes it can manufacture the three polymers cheaper in India: “Gharda is starting marketing and developing it in a major way,” Trivedi adds.